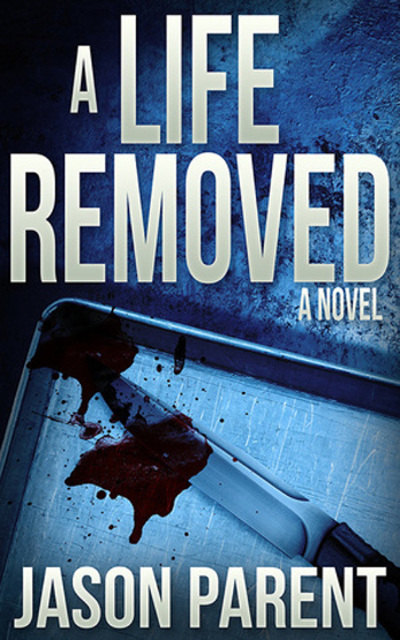 Today’s post on The Horror Bookshelf comes from Jason Parent, the author of the dark, brutal thriller A Life Removed – which is out now – and a ton of other great books. 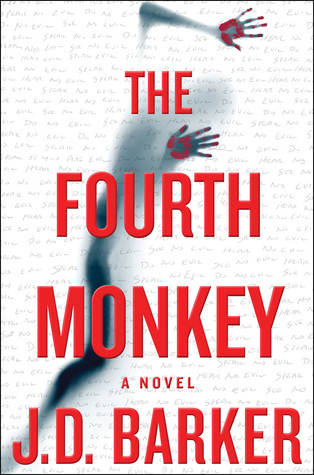 I have a review scheduled for tomorrow, so I won’t dig too much into the novel, but if you are familiar with Jason’s work, you will love this one. Jason’s post is a follow-up piece to the guest post from Stuart R Brogan on publishing. Both authors make great points and I recommend checking out both of them for some insight on their experiences in publishing. Before I turn over the blog to Jason, I want to thank him and Nev of Confessions Publicity for having me on the tour! 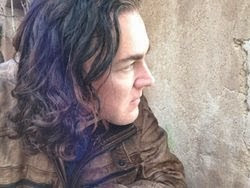 Early in May, Stuart R. Brogan, author of Jackals, wrote a guest post for The Horror Bookshelf entitled, “Going It Alone,” in which he explained why he chose to self-publish instead of going the traditional or small press route. 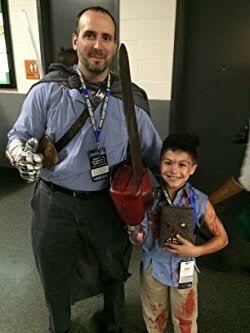 I enjoyed the article and even commented on it at the time, not realizing I would be doing a guest post for the same blog a month or so later. First let me say this: I don’t think any author being honest with himself/herself would balk at a book deal with one of the Big 5 if he/she has never had such a deal before. To have one’s books in brick and mortar stores all over the U.S. or U.K., maybe in bookstores on several continents, is a dream most authors share, not necessarily for the fame or the (perceived) money, but to be read and to know that one’s words are being felt, enjoyed, pondered, and maybe even considered and dismissed by readers everywhere. At least for me, that’s all I want: for others to find meaning in my work, and if it’s a whole lot of others, then I know I am not alone in my beliefs and world views. But only a select few horror authors are actually published by the Big 5, and a few more if you count those that pass off their horror as “thrillers” (not that I know anyone who would ever combine horror and thrillers, wink wink, nudge nudge). Many of the best, most popular, and most critically acclaimed horror writers have never had a deal with the Big 5. So, I don’t waste my time and don’t really have the time to waste. I would need to find an agent, be prepared to market the book strenuously, both on the publisher’s and my own schedule, and give up a whole lot for potentially big but more often than not, little gain. Just finding an agent takes a ton of research, the sending of query after query, and hours upon end that could have been spent writing. That is not to say that the right agent would not be a boon for a writer’s career, and a great agent always will be. I had an agent once, and though it didn’t pan out to anything, I do not regret the experience and would undertake it again if the right circumstances arose. But for most small presses, where my books find their homes, I have not needed an agent. Again, good agents open up more doors, so they can be very helpful. In the small press world, they are simply not a necessity. Which brings me to why I choose small presses over self-publishing. Without the guidance of an agent or other business professional, I’d be a mess. The road to publication would be much longer as I lack the know-how with respect to formatting, cover art, and other aspects of book creation that the small press brings to the table. For those with this know-how, like Mr. Brogan, self-publishing may be the right way to go, as the author maximizes his royalties, though while simultaneously bearing the burden of all costs. I’ve been published by several small presses now, and I have turned down a few others. Different presses have different strengths and weaknesses, but all should provide quality editing, a decent royalty split and strong cover art. Never should they charge the author any sort of fee. They provide varying degrees of promotion as well, some having publicists or setting up blog tours, while others submit to Net Galley or book promotion sites. With more hands in the pot wanting the book to succeed, it would stand to reason that there’d be more people desirous of putting out quality work. Obviously, if one self-publishes, he or she goes all these routes alone. The quality of the work he or she produces depends on the extent of his/her knowledge, integrity, and commitment to producing a work worthy of the reader public and that of the persons he or she enlists to assist. What is better for one may not be better for another, and there are good and bad small presses just as there are good and bad self-publishers. For my needs, and sometimes overwhelming schedule, the single most important plus with respect to small publishers is the time it saves me after the writing and editing are done. For now, I am happy where I am and with the small presses I have chosen (and who have likewise chosen me) to work with. That said, the future is a hazy thing, and I could easily see myself self-publishing or rolling the dice on an agent with a novel I think a good fit with a Big 5 publisher. Of course, any agent or Big 5 publisher that wants to seek me out, make like the Price is Right and come on down! I remember reading some early praise for The Monster Underneath from Ronald Malfi, Rena Mason and John Everson and thinking that this was a book that I just had to read. So when Erin from Hook of a Book Publicity offered me a spot on the blog tour, I jumped at the chance! Max Crawford has offered therapy to inmates for over 6 years at the Texas State Penitentiary in Huntsville through a secretive government program. He has unique abilities to read minds and enter the dreams of the inmates and he utilizes these gifts in order to help rehabilitate violent offenders. His goal is to talk his patients through their crimes in the hopes that they will feel remorse for what they have done and begin to rehabilitate so they may reenter society. His identity is largely kept a secret in order to protect him and his family should some of the more violent inmates ever be released. He hardly ever meets them face to face and solely interacts with them through their dreams. The reason he gets their consent first is it makes his therapy more effective. Max has been content using his abilities in secret at the tiny jail in Huntsville, but one day his life is changed when FBI agent Charles Linden shows up and asks for Max’s help. Linden is well aware of Max’s gifts and wants him to help get a confession from one of the country’s most notorious serial killers, William Knox. At first glance, he seems relatively harmless. 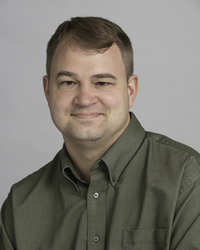 He is a husband and father who is well-respected within his community and is a well-regarded English professor at the University of Texas in Austin. Despite his squeaky clean public image, he is the prime suspect in a series of murders of young women that stretched from Dallas to Arkansas. Other than the fact that his victims were all women, there was no clear motives for his crimes. The FBI has been unable to break Knox no matter what tactic they try, which is what convinced Linden to reach out to Max in a last-ditch attempt to get a confession. Max normally has the consent from inmates to enter their dreams, but Linden wants this to be a more covert operation. While this makes Max uncomfortable, he has no choice but to agree to Linden’s plan if he hopes to help get justice for the victims’ families. Max enters Knox’s mind with the goal of gaining his trust by any means necessary and once he is inside Knox’s mind, he is in a race against time to uncover the truth about the murders. I liked the concept behind The Monster Underneath and while I have read a few books with a similar premise, this one stood out to me. Most of the stories I have read that were fairly similar involved detectives who used these abilities to either prevent attacks or to catch a killer that is still on the loose. Max’s abilities and his background as a therapist intrigued me because he strictly worked with criminals who are already in jail. Also, while he is able to enter prisoner’s minds at will, he tends to only works with inmates who have granted him permission to enter their dreams. This is interesting because when Max meets with his patients, he already has knowledge of their crimes and how they were committed. A lot of his work when he enters their dreams is figuring out why they made certain choices and trying to help them feel remorse in an attempt to rehabilitate them should they ever be released from prison. This is interesting because when Max meets Knox, he has the same abilities and knowledge to draw on, but he is plunged into a situation that is vastly different from what he is used to. He is attempting to gain Knox’s trust without prior consent and he is using his abilities to figure out the details of a crime through a person’s dreams for the first time. Max’s previous work and knowledge allows him to identify things easier, but his case with Knox is tricky because he needs to sift through what is fiction conjured up by Knox’s mind and what may be real memories of his crimes. I loved the way Franks handled the dream world and the sort of rules that govern them. While there aren’t too many similarities I couldn’t help but think of Russell James’ Dreamwalker while reading some of these scenes. I also enjoyed the way Franks describes Max’s abilities. Mind reading comes like second nature to him and he really has to work on keeping other people’s thoughts from merging with his own. However, the ability to enter dreams was something he had to work at. I like that it wasn’t something easy, but rather an ability he had to develop. A great example is the very descriptive scene of how Max first discovers his ability to enter dreams, which he ironically discovered while trying to read the thoughts of one of his patients at a sleep clinic he worked at during college. Franks puts a lot of detail and thought behind the description of Max’s powers and the protocols that Max establishes as a result of his experiences with his abilities. I don’t want to spoil too much of this because it is one of the many things that make The Monster Underneath an entertaining and unique read. I also loved the interactions between Max and Knox. Their relationship is the major sense of tension throughout the novel and although Max is trying to keep Knox locked up, they develop a toxic and bizarre pseudo-friendship. As Max gets deeper and more involved in Knox’s dream reality, the lines that separate the real world from Knox’s dream world begin to blur a little bit. The case is extremely stressful for Max and for the first time in his career, he starts to doubt himself. The only issues I had with the novel were a few instances where the transitions between chapters took me out of the story. I also had a few issues with the ending, but it didn’t really impact my enjoyment of the novel too much. 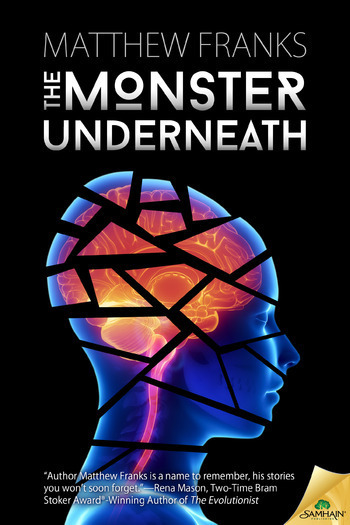 Overall, The Monster Underneath is a gripping psychological thriller that I couldn’t put down! The novel works well as a standalone story, but while I was reading, I couldn’t help but think of more books containing Max and having him possibly team up with Agent Linden again. While Linden can come off as abrasive at times, I do think it would be cool to see them work together more closely on a case from start to finish. So, I was excited to read in Wag The Fox’s great interview with Matthew Franks that there is indeed a follow-up currently in the works! Purchase The Monster Underneath: Amazon (US), Amazon (UK), Amazon (Australia), Barnes & Noble, Samhain Horror or your favorite bookstore!